Tesla has not invented the self-driving car. The so-called Autopilot software it rolled out for the Model S does not, in fact, turn them into autonomous machines, ready to take over while you check Facebook. Tesla (TSLA) advises human drivers to keep their hands on the wheels at all times, and to stay alert because the technology isn't perfect. I can attest to that first hand. Other drivers can too. 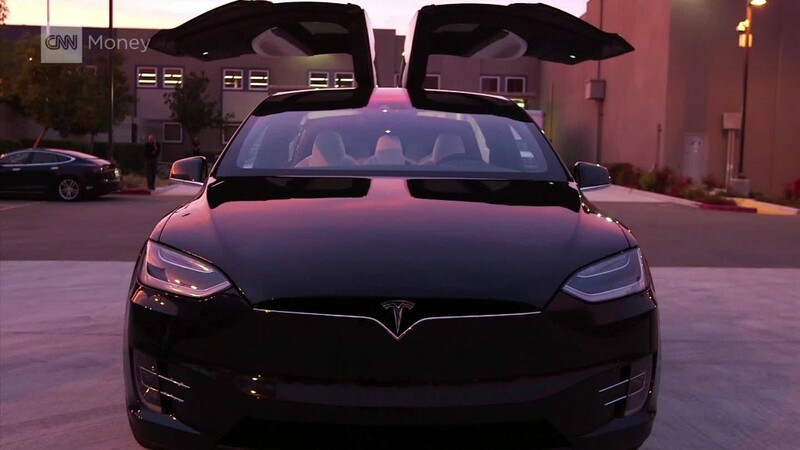 Recently, some Tesla owners have been posting videos of terrifying close calls using Tesla's autopilot system. The system uses cameras and sensors to detect lane markers as well as other vehicles and obstacles. Then, it steers the car as needed while it operates the brakes and accelerator to maintain a safe distance behind cars ahead. It's not entirely unprecedented. Mercedes-Benz (DDAIF), for instance, has had technology on its cars for years that can do very much the same thing. There is one big difference, though. The Mercedes technology doesn't just recommend the driver keep his or her hands on the steering wheel, it requires it. During my own test drive with Tesla's Autopilot, the system worked perfectly most of the time. For demonstration purposes, I did the bad thing of taking my hands entirely off the steering wheel and moving my feet away from the pedals. I've driven plenty of cars with "active cruise control," which automatically maintains a safe distance behind traffic, so I trust properly-equipped cars to brake and accelerate on their own. But letting the Tesla computer steer while I sat there like I was in the back of a taxi cab? That was just plain freaky. Even when it was working well, it gave me a squirmy, uncomfortable feeling, like I was waiting for someone to shoot an apple off the top of my head. Next I tried the automatic lane change technology. While the car was driving nicely down its own lane, I pushed up the turn signal stalk. The car moved over, crossing into the adjacent lane. I released the turn signal and the Model S settled into its new lane. Worked perfectly. Still freaked me out. Not everything went so nicely. In at least one instance, while the Model S was rounding a curve on Manhattan's West Side Highway, it came frighteningly close to another car on the outside lane. I cursed, yelled and grabbed the steering wheel. Crash averted. A similar thing happened later as I approached a minor traffic snarl. My car braked and swerved, getting way too close to car on the left. Again, I yelled, cursed and grabbed the steering wheel ... it was another potential crash averted. It's important to remember, though, that responsibility ultimately rests with drivers. There's still a person in every driver's seat, and nobody -- including Tesla -- ever told them to stop driving. At least not yet.